The Gamevice is Available Now – Here’s Everything You Need to Know! Well folks, it’s been a long wait, but it’s finally over. 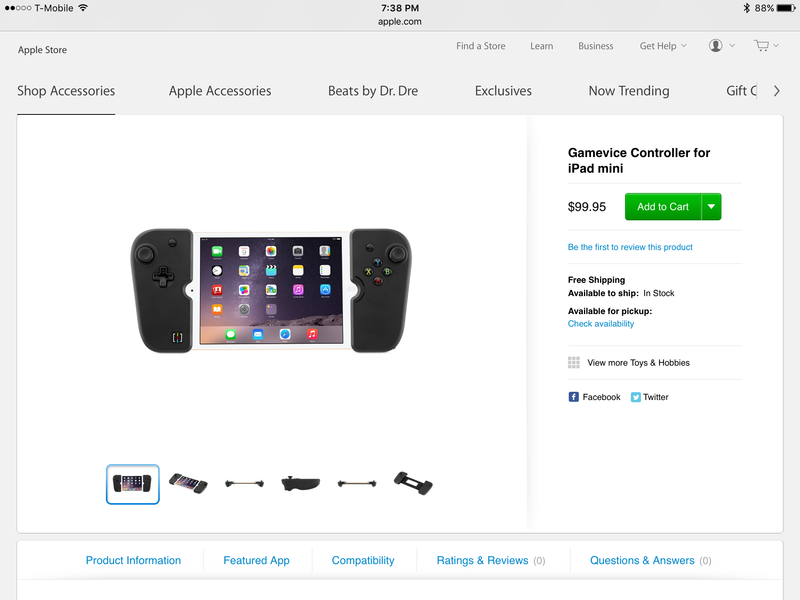 The Gamevice for iPad Mini just showed up on Apple’s online store. Right now. Today. If you want some of my personal impressions of the controller, check out the AfterPad Gamevice Preview. I’ll have a full review up very soon, once I get my hands on the finalized hardware. For now, let me say this: I’ve been using various incarnations of the Gamevice since CES, and I can say with all honesty that it is by far the best MFi controller ever. It’s not even close – if you have an iPad Mini, and if you have any interest whatsoever in owning an MFi controller, this is the one to get. I know there are going to be a lot of questions about this controller; to answer some of the most common ones, I conducted an interview with Gamevice CEO Fraser Townley. If there’s anything you want to know that isn’t covered here, head over to the forums and let me know. Kevin MacLeod: It’s finally here – the Gamevice for iPad Mini officially launched on Apple’s online store tonight! I speak from experience when I say a LOT of people have been excited about this for a long time. It was supposed to be coming in March – can you give us some insight into why it took so much longer than anticipated? Fraser Townley: We pushed back the launch date for various reasons. The main one is that we underestimated the time it would take to receive all of the approvals we needed to get to market. Gamevice is a new and unique product; labs around the world had no standard testing procedures, therefore time got lost in the certification process. The Gamevice is a very unique controller, you’re right about that – I haven’t seen anything quite like it from any other manufacturer, MFi or otherwise! What were some of the challenges with building a controller of this design? We actually conceived the idea in 2012 and quickly received the utility patent for two halves of a controller attached to two sides of a smart device via an adjustable bridge but, as they say, 5% of the work is the idea and 95% execution. Having the idea and being granted the patent is only the beginning of the journey. We actually needed to create new manufacturing processes and invent new ways of doing things in order to achieve the final product we will deliver very soon. There are a lot of bright and dedicated people that have been involved in the project, and I would like to thank them all for their contribution. With over 700 games already supporting MFi controllers like the Gamevice, there are a lot of different game styles and control schemes to work with. Are there any games in particular you’ve been testing the Gamevice for? There has been some confusion about device compatibility with the Gamevice. Can you set the record straight – which iPads can it be used with? 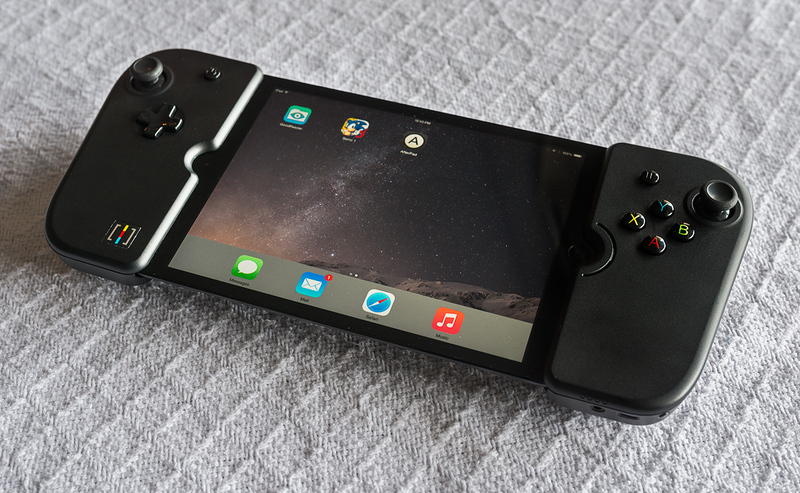 And is it a one-size-fits-all design, or will prospective buyers need to pick a specific Gamevice for their iPad? Only the iPad Mini version is available right now. How long will iPad Air gamers need to wait to get their hands on a Gamevice, and can you shed some light onto why this version is being delayed? What about other devices? There has been some mention on your website about versions for the iPhone 6 or iPhone 6 Plus, and Apple is rumored to be working on a 12-inch iPad model. Not to mention the possibility we might finally have a game-playing Apple TV in the near future. Are there any plans for products addressing these devices? What would you say to someone still on the fence about the Gamevice? $99 is a lot to ask for a controller, especially considering the questionable quality of some of the earlier controllers that retailed for that price. What makes the Gamevice better? Our website at Gamevice.com, as well as our Facebook, Twitter, and Instagram channels. I’ve tried to cover some of the most important information about the controller here. One more time, if you have any questions at all about the Gamevice, be sure to swing by the forums and post them, and I’ll do my best to get answers. For more information, be sure to check out my exclusive in-depth preview of the Gamevice. And if you want one for yourself, visit Apple.com and place your order!